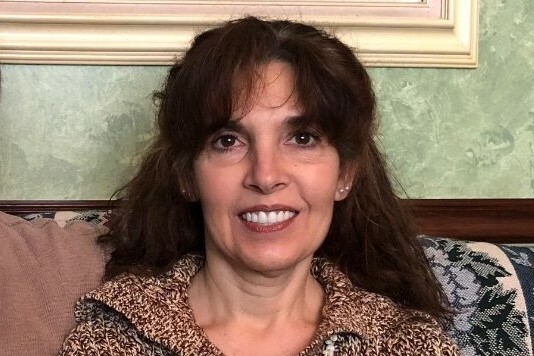 Carri Boots, 55, of Michigan City, passed away on Nov. 17, 2018. She was born on Dec. 8, 1962, in Toledo, Ohio, to Joseph and Judy (Lang) Intagliata, who both survive. On June 19, 1982 in Merrillville, she married Mark Boots, who survives. Carri’s favorite thing to do was just spending time with her children and grandchildren. She also enjoyed teaching Sunday School and tending to her garden, cooking and reading. Carri is survived by her children, Steve (Rebekah) Boots of Virginia, Jonathan Boots of Colorado, Brian (Sarah) Boots of Virginia, Annie (Matt) Stephens of Germany, Sarah (Josh) Gross or Virginia, Erick Boots of Westville, Andrew (Ellyn) Boots of Kansas, Ben Boots of Chesterton, Tom Boots of Michigan City, and Katie Boots of Michigan City. She is also survived by her siblings, Joe (Kelly) Intagliata of Hanna, Rob (Judy) Intagliata of Florida, and Jill (Vince) Julian of LaPorte, and 10 grandchildren. A visitation will be held on Tuesday, November 20, 2018, at Crossroads Baptist Church, 10027 W. 1000 S., Wanatah, from 6:00 P.M. – 8:00 P.M. A funeral service will be held on Wednesday, November 21, 2018, at 12:00 P.M., at Crossroads Baptist Church. Burial will be at Memorial Park Cemetery. In lieu of flowers the family has asked that memorial contributions be made on, https://www.gofundme.com/funeral-arrangements-for-carri-boots, to help defray funeral expenses.